A new 5 story hotel has been proposed for 39 Crosby Drive. The Hotel which expects to have 130 rooms, also includes a 1500 square foot restaurant directly adjacent. The project has been proposed by Lexington based Jamsan Hotel Management which operates hotels throughout New England including newly renovated Best Westerns in Danvers and Woburn, Days Inn & Suites in Lincoln NH, a Fairfield Inn & Suites in Keene NH and others. According to project plans, the Hotel is to be built adjacent to Crosby Drive in front of 39 Crosby Drive which is currently rented by Arty's Warehouse which should remain. An agreement has made with Fuji Film, the owner of 45 Crosby Drive who will provide an additional parcel of land. The project will include about 140 spaces for cars and 8 for bicycles. The Hotel is expected to be built in the forested area on the right side of Crosby Drive. The small building behind it is 39 Crosby Drive while the larger building at 45 Crosby Drive is owned by Fuji Film. 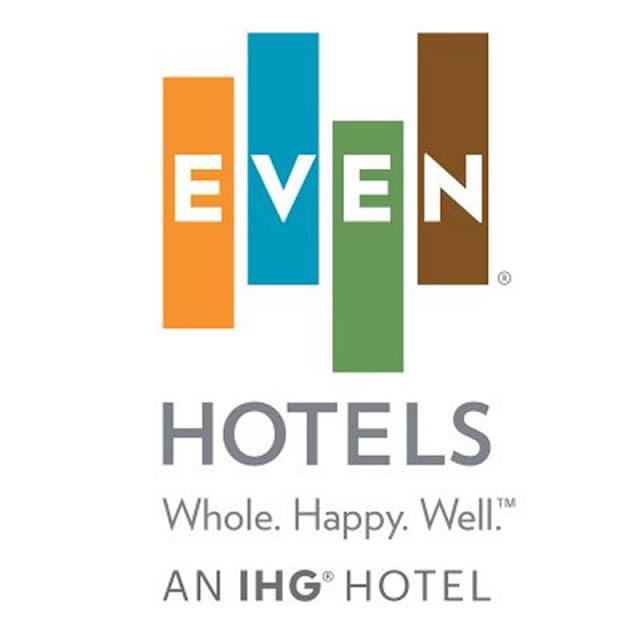 While the brand of hotel is still under negotiation, it's currently proposed to be a EVEN Hotel, the newest brand under the InterContinental Hotels Group which owns Crowne Plaza, Holiday Inn, InterContinental and others. EVEN Hotels whose motto is Eat Well, Rest Easy, Keep Active and Accomplish More, currently has six existing locations in the United States with 8-10 more in the pipeline and has recently signed an agreement for additional locations in Australian and New Zealand. 2015 Google Street View of the proposed project. The driveway on the right leads to 39 Crosby Drive. 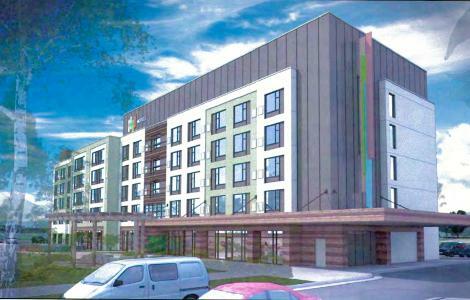 This is the second hotel recently proposed for Crosby Drive. 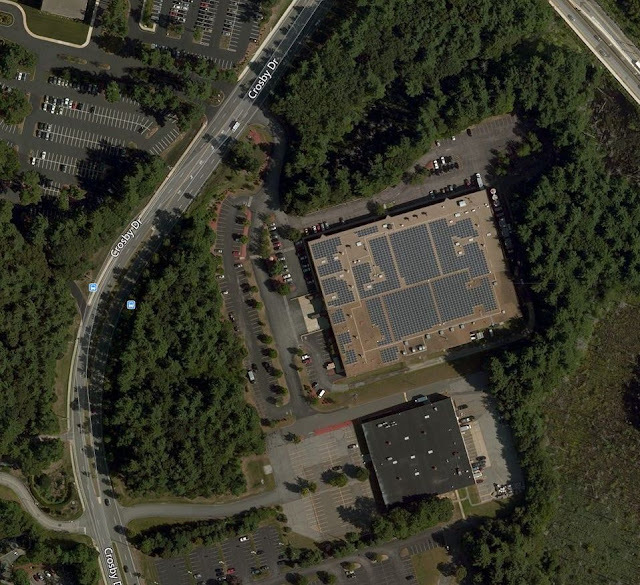 Last year, National Development submitted plans for a hotel at Crosby Center at 32 Crosby Drive but later withdrew them after objections by existing tenants. If local hotel prices are any indications, it seems like there will be strong demand for additional hotel rooms in Bedford. The hotel should be beneficial to neighboring businesses and the restaurant should provide an additional lunch option for nearby employees.